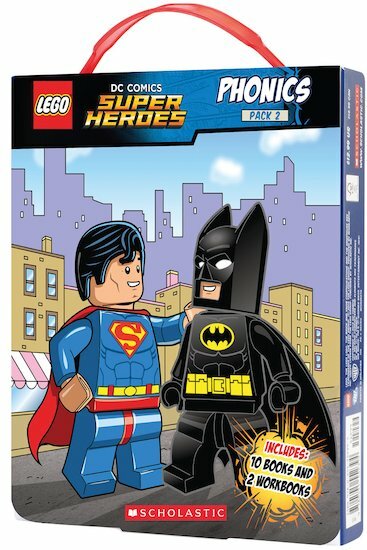 A second brilliant phonics box starring your favourite DC heroes. Why learn phonics the boring way? Do it the super way! This handy box brings you twelve exciting LEGO® DC books starring Superman, Batman, Wonder Woman and their friends. There are ten stories which practise essential phonic sounds, plus two workbooks to help you with long and short vowel sounds. All illustrated with colour pictures bursting with action and energy, and supplied a nifty carry case.